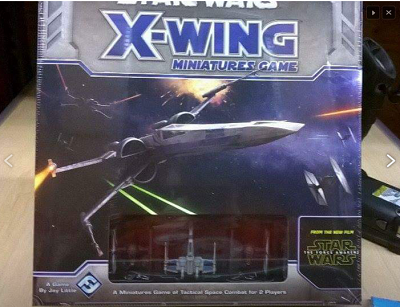 New Force Awakens X-Wings and TIE Fighters have been revealed for Fantasy Flight's X-Wing Miniatures Game. This past weekend, Disney used its D23 event to unleash a torrent of Star Wars reveals including new LEGO sets, movie posters and theme park plans. With all that the company announced however, it would seem it was still holding a few things close to its chest. Case in point, a set of leaked photos has revealed that Fantasy Flight Games' popular X-Wing Miniatures Game could soon receive new units based on Star Wars: The Force Awakens. 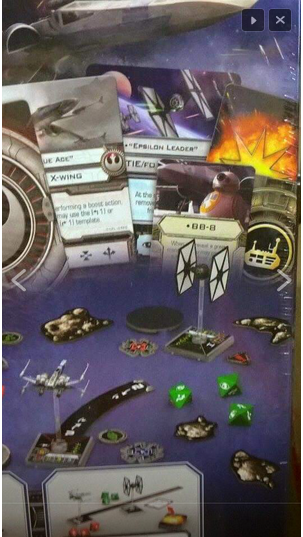 While details, both official and not, are currently sparse, the images in question recently hit the web and showcase what appears to be a new starter set where the traditional Empire era X-Wings and TIE Fighters have been replaced with the updated versions from The Force Awakens. 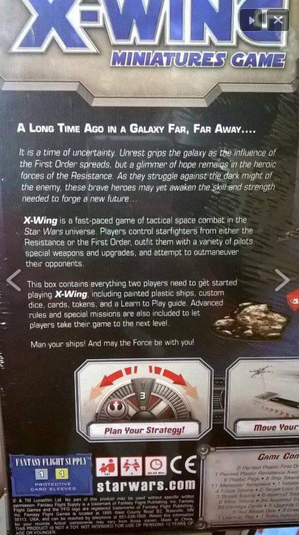 The back of the box similarly swaps out the Original Trilogy setting for one drawn from the era of the new films. "It is a time of uncertainty," reads one of the photos. "Unrest grips the galaxy as the influence of the First Order spreads." It goes on to say that "a glimmer of hope remains in the heroic forces of the Resistance." Other photos also showed off upgrade cards to go with the new fighters. It should be noted, of course, that this could all just be an elaborate hoax. There are plenty of talented artists out there possessing the skills needed to create box mock-ups as well and modified miniatures to resemble the ships from the new movie. 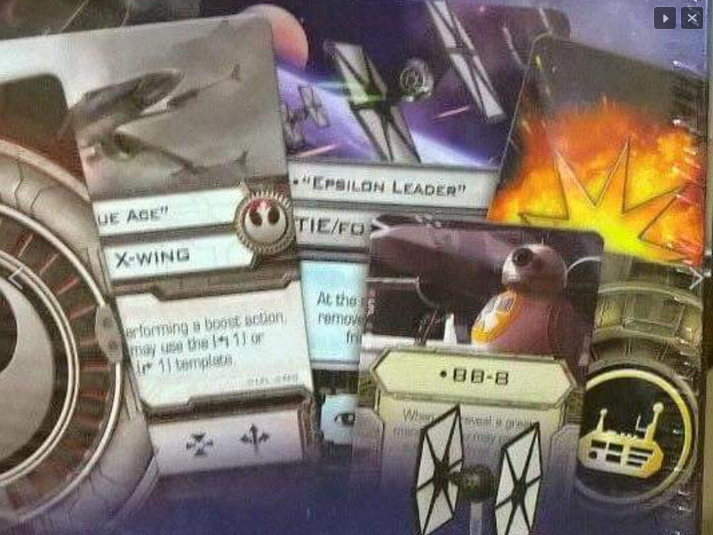 That being the case, the existence of the seemingly thorough upgrade cards, along with the Fantasy Flight's apparently strong reaction to the leak, suggests that this is probably the real deal. We've reached out to Fantasy Flight and will let you know if we learn anything more.